Those who are in the search of download Tnpsc group 4 previous last 6 years question papers, There is a good news for all that is we have uploaded Tnpsc group 4 previous last 6 years question papers here. This is Best Tnpsc group 4 Model Question for upcoming Exams. The Tamil Nadu Public Service Commission is also known as TNPSC. It was established in 1929 by the Madras legislature Act. It is one of the states of the southern part. It is headed by Chairman and fourteen other members appointed by Governor of Tamil Nadu. It works under constitutional Act of 315 and It is one of the largest recruitment agency of Tamil Nadu. It is main duty and responsibility to recruit new employees for various vacancies occurred in government. These uploaded Group 4 Previous Questions are best practice for upcoming Tnpsc exams. Because theses questions are fetched from 6th to 10th std Samacheer Kalvi school Books. Take this questions as model question papers and prepare well. 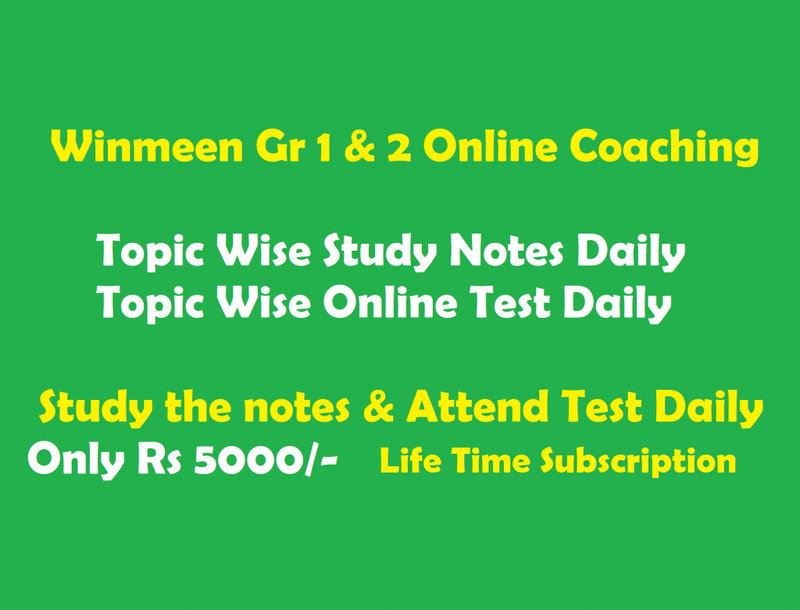 Note: Candidates can Bookmark our website by Pressing CTRL+D for grabbing latest updates related to government and private job notification, exam pattern, syllabus, admit card and exam results… etc. Prospect can comment us their related query below. Our team member will reply you as soon as possible. Get more Jobs notification at www.winmeen.com. Please subscribe and like our page in facebook to get update instantly. This is Best Tnpsc group 4 Model Question for upcoming Exams.